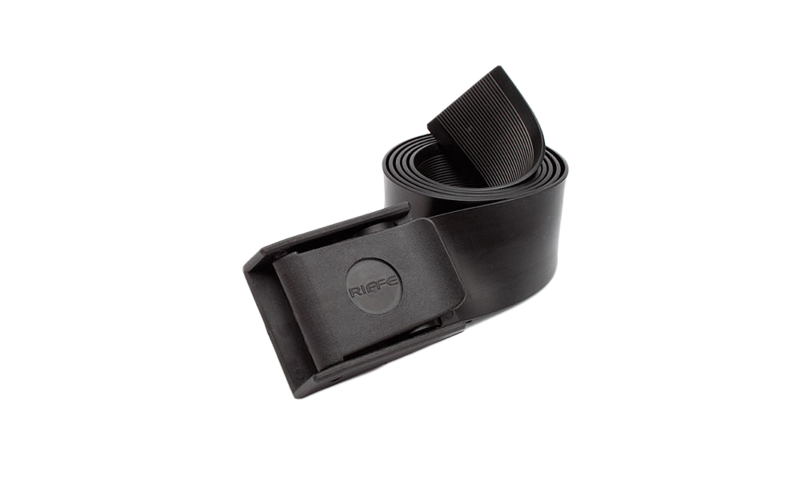 RIFFE’s flexible rubber weight belt is 54″(137cm) long and may be adjusted by cutting to size. Inner part of the rubber belt has horizontal ribbing to help prevent movement while diving. The cam-lock buckle is made with glass filled Nylon and fast ditch capability. Weight capacity 20lbs. Heavy duty stainless steel weight retainers available (sold separately).